On the Dynamics of Non-Relativistic Flavor-Mixed Particles, M. V. Medvedev, J. Cosmol. Astroparticle Phys., 06, 063, 2014. Abstract, with link to full article. "Evaporation" of a Flavor-Mixed Particle from a Gravitational Potential, M. V. Medvedev, Journal of Physics A: Mathematical and Theoretical, 43, 372002, 2010. Abstract, with link to full article. The Structure of Self-Gravitating Polytropic Systems with n around 5, M. V. Medvedev and G. Rybicki, Astrophysical Journal, 555, 863, 2001. Abstract, with link to full article. Axisymmetric Self-Similar Equilibria of Self-Gravitating Isothermal Systems, M. V. Medvedev and R. Narayan, Astrophysical Journal, 541, 579, 2000. Abstract, with link to full article. Self-Organized States in Cellular Automata: Exact Solution, M. V. Medvedev and P. H. Diamond, Physical Review E, 58, 6824, 1998. Abstract, with link to full article. On the Statistical Mechanics of Self-Organized Profiles, M. V. Medvedev, P. H. Diamond, and B. A. Carreras, Physics of Plasmas, 3, 3745, 1996. Abstract, with link to full article. Asymptotic Theory of Nonlinear Landau Damping and Particle Trapping in Waves of Finite Amplitude, M. V. Medvedev, P. H. Diamond, M. N. Rosenbluth, and V. I. Shevchenko, Physical Review Letters, 81, 5824, 1998. Abstract, with link to full article. 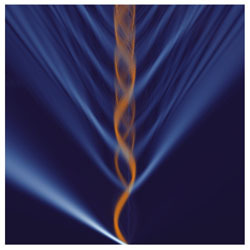 Dissipative Dynamics of Collisionless Nonlinear Alfven Wave Trains, M. V. Medvedev, P. H. Diamond, V. I. Shevchenko, and V. L. Galinsky, Physical Review Letters, 78, 4934, 1997. Abstract, with link to full article. Fluid Models for Kinetic Effects on Coherent Nonlinear Alfven Waves, II. Numerical Solutions, M. V. Medvedev, V. I. Shevchenko. P. H. Diamond, and V. L. Galinsky, Physics of Plasmas, 4, 1257, 1997. Abstract, with link to full article. Fluid Models for Kinetic Effects on Coherent Nonlinear Alfven Waves, M. V. Medvedev and P. H. Diamond, Physics of Plasmas, 3, 863, 1996. Abstract, with link to full article. Do Extragalactic Cosmic Rays Induce Cycles in Fossil Diversity?, M. V. Medvedev and A. L. Melott, Astrophysical Journal, 664, 879, doi:10.1086/518757, 2007. Abstract, with link to full article.